A few times a year I share the releases I'm most excited about in a Top Ten Tuesday post, but I feel like I never get to share the books I DON'T want to buy. When I saw this concept on Novel Ink a couple weeks ago I knew I had to get in on the fun that originally started on Booktube. The idea of an anti-haul is to share the books you absolutely will not be adding to your shelves and it sounds like the best idea ever! 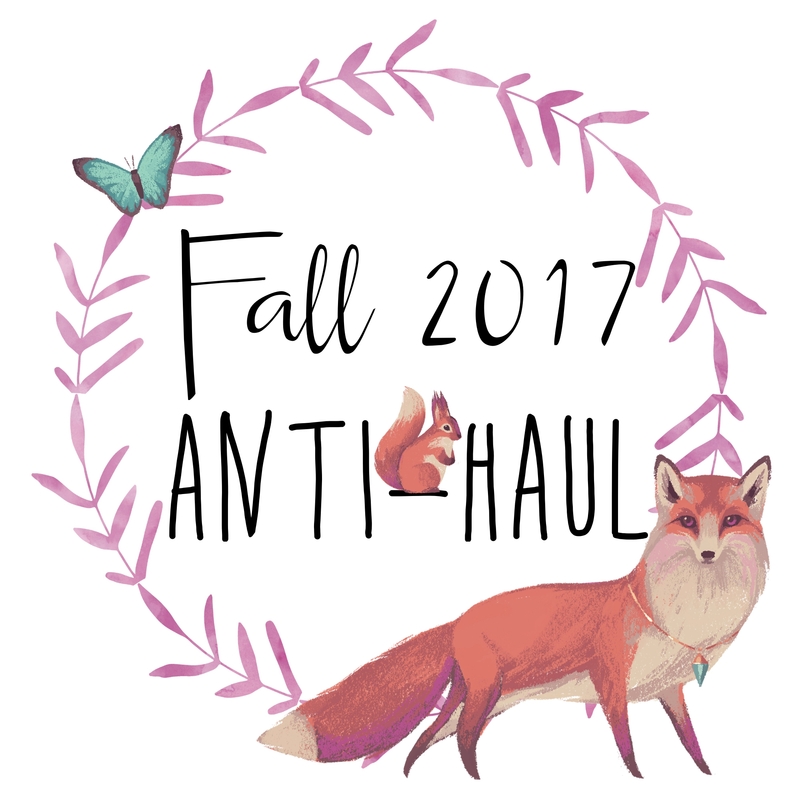 Without further ado, here is my very first anti-haul featuring Fall 2017 books I will not be purchasing. This one is surprising even to me because it was featured on a most-anticipated top ten list earlier this year. The cover is gorgeous and the synopsis sounds right up my alley! However, the reviews are in and I don't think I've heard a single good thing from anyone I trust. From what I've gathered the characters aren't very easy to connect and the pace is extremely slow. Better luck next time, I guess. While every other human on the planet is dying to get their hands on Godsgrave, I couldn't care less. I loved Illuminae so I was quick to grab a copy of Nevernight, but quickly found myself having to put it down. The format absolutely did not work for me. Although I've heard great things about this series, I don't think I'll be reading it any time soon. Here is another one that has quickly fallen on my priority scale as another that went from most anticipated to anti-haul. Although the cover and concept (again) are both amazing, the reviews from my trusted friends are just not good. I love alternate history but it's hard for me to get excited about a book that everyone dislikes for seemingly great reasons. Again, this book seems to be extremely slow paced with iffy characters, something I'm just not interested in getting into. I have never met a Tahereh Mafi book I like, which is so disappointing because every single one of her books is gorgeous! Even though it seems like everyone else loves her, I find myself completely unable to enjoy her unique style. I did give Furthermore a chance, but quickly gave up, although MC loved it (and you can find her review on her blog). I definitely won't be reading it, but you can probably expect a review since I can't imagine MC not reading this one! Which books are you not excited for?